CAL17 - The Midnight Rose Calendar in Gifts is made for Women and Men and comes in Black and is made of Pewter material. It is marked as Calendars and weighs about 1.00 lb. 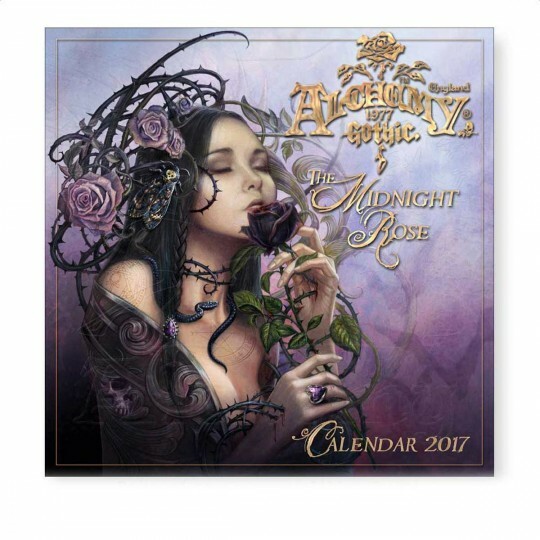 This 16 month Calendar exquisitly illuminated by Alchemys distinct brand of bequilingly beautiful Gothic Artwork that will draw you into the shadowy twilight realms of The Midnight Rose.